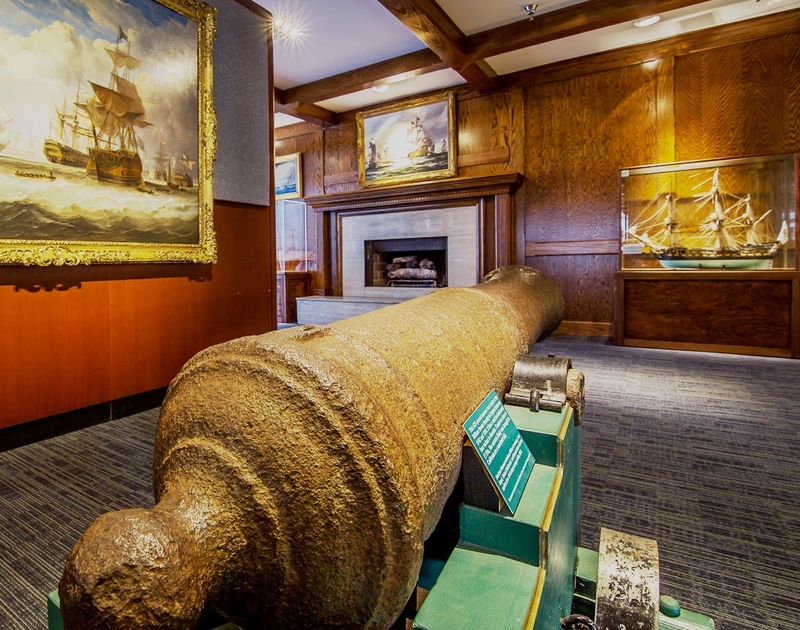 CIMM’s collection is a treasure trove of maritime paintings, ship models, and artifacts that rival some of the finest European and U.S. collections. 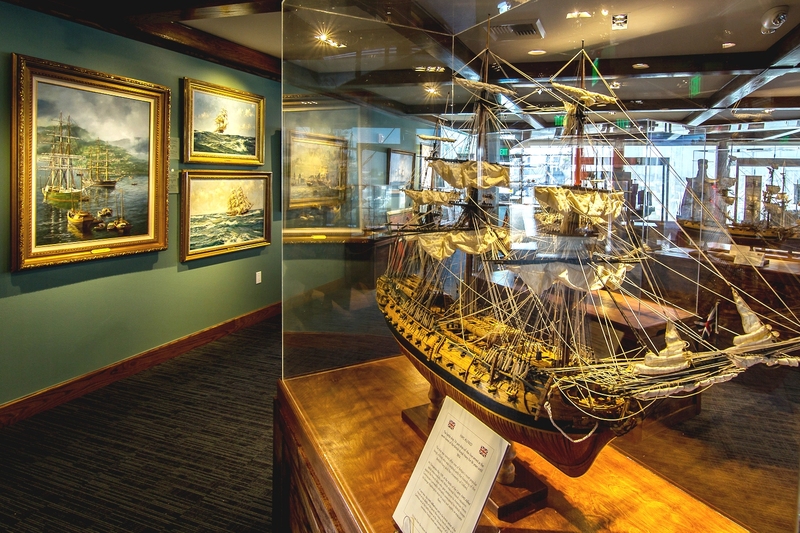 Sumptuous seascape paintings by 17th century Dutch masters, 18th and 19th century English Romantics, French Impressionist painter Boudin, and unparalleled contemporary maritime painters complement the finest museum-quality ship models on the West Coast, including the Marple Models: nine exquisite, highly detailed scratch-built warships; and intricate “bone models” carved by French soldiers held captive during the early 19th century Napoleonic wars. The Upper Deck hosts interactive contemporary exhibits, featured temporary exhibitions, art receptions, and engaging ThirdThursday lectures. 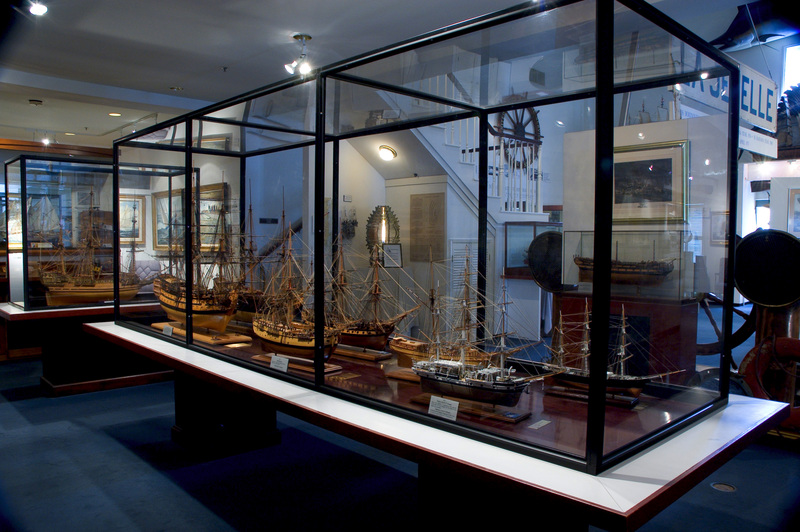 Museum windows look out over the Channel Islands Harbor’s passing sailboats and gorgeous views. The Channel Islands National Park sits just offshore, and the sea lions on the dock out front add tremendous character to the traffic stream. 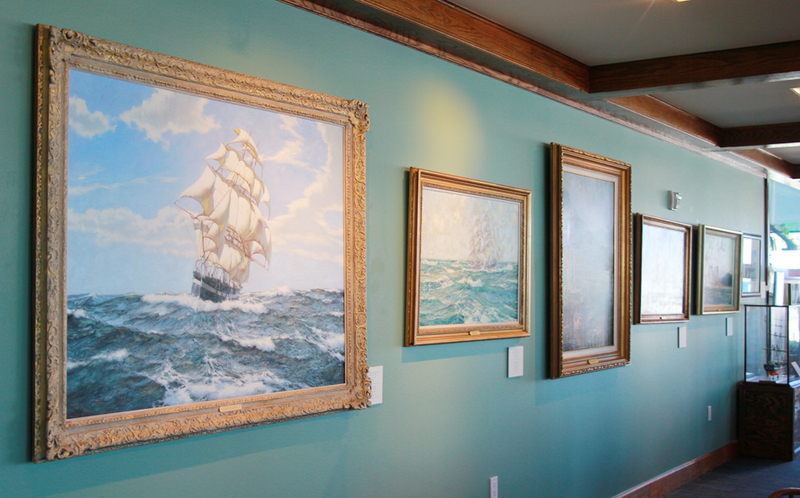 Visitors are invited to view the art on their own or take advantage of the museum’s knowledgeable, free guides. We have created a unique presence at the Channel Islands Harbor in Oxnard, CA, which celebrates the essence of everything maritime, and we invite you to share the adventure on the high seas with us!